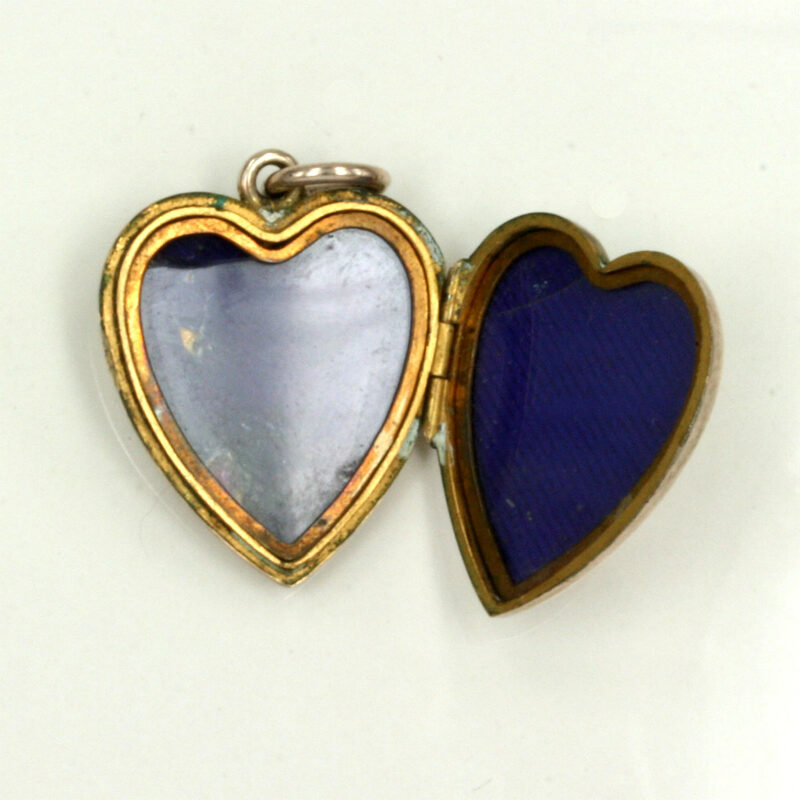 Heart shaped antique ruby & pearl locket. Product code: ES1547 Categories: Sold Items, Sold Jewellery. Here is a delightful antique heart shaped locket set with rubies and pearls. Made around 1910, this locket is set with 6 rubies and 7 pearls, and is made in 9ct rose gold. Measuring 2cm across by 2.2cm high, it is able to be set with 2 photos. The shape an being set with rubies and pearls, makes this such a special and attractive piece, and a great example of an antique locket in rose gold.